Manual Test Stands | Imada Inc.
Manual test stands offer basic force testing and economy. 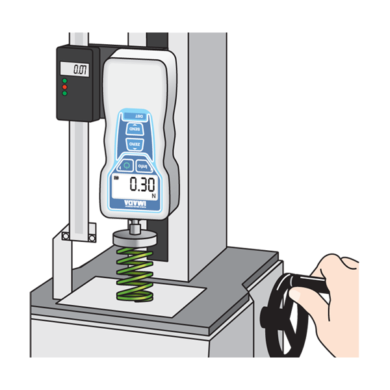 Lever models enable rapid testing of compression or tension, up to 220 lbf. 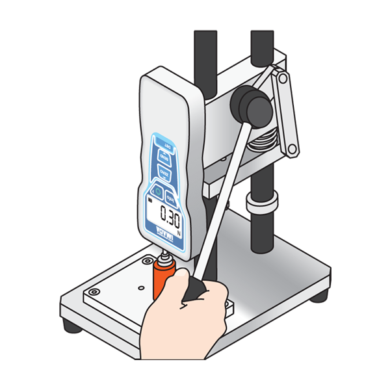 Wheel-operated test stands enable precise control for either compression or tension and the force gauge remains in position when the wheel is released. Wheel stands are offered in a wide range of capacities from the 11 lbf capacity micro-movement stand up to 750 lbf models. 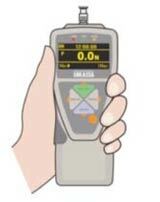 Combine a test stand with any of the standard range Imada force gauges, special attachments and an optional digital distance meter to create a dedicated force measurement system for push, pull, snap, peel, penetration, etc.